BMW was famous for its bikes that were side-by-side to a Harley Davidson. 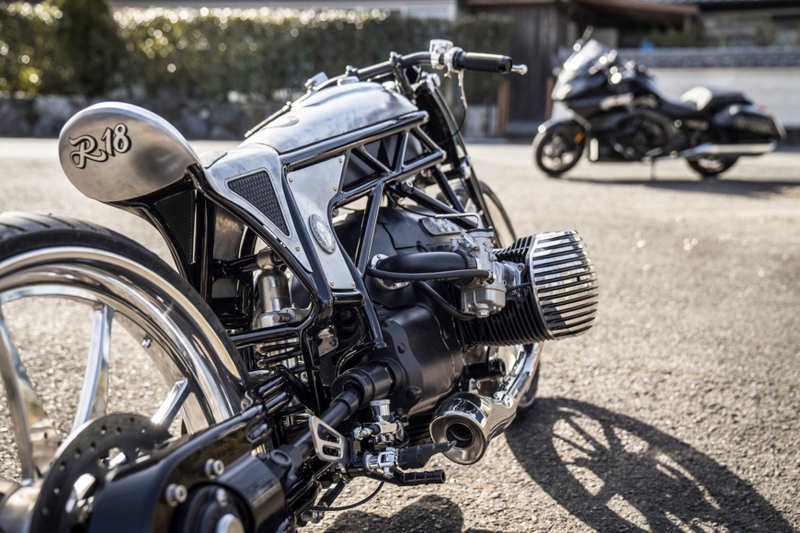 Many people thought that BMW is going to stop the production of this boxer engine for its bikes, due to emission problems, but in collaboration with a Custom Works Zon, from Japan, they made a new stylish motorcycle. An important feature in a brand-new bike is the innovative engine that, not like the R9-T, is not that dangerous for the environment. 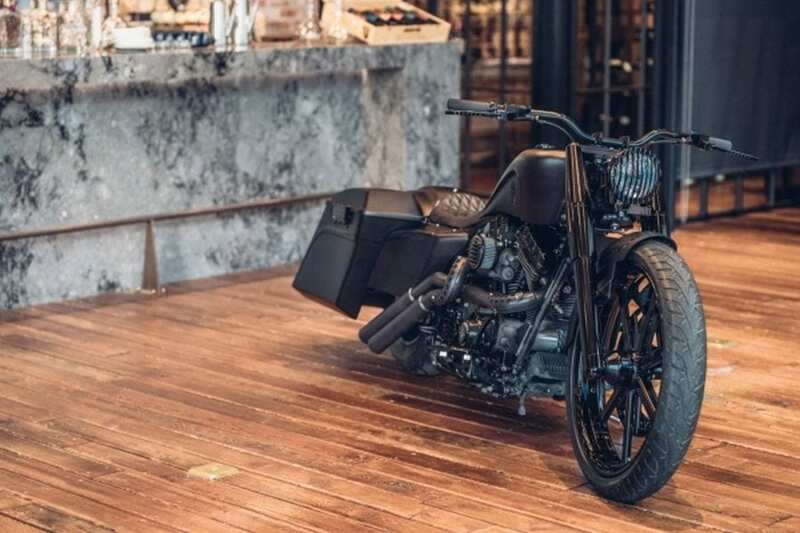 This bike has an 1800 cubic centimeters engine and an air-cooler engine similar to Indian and Harley Davidson. 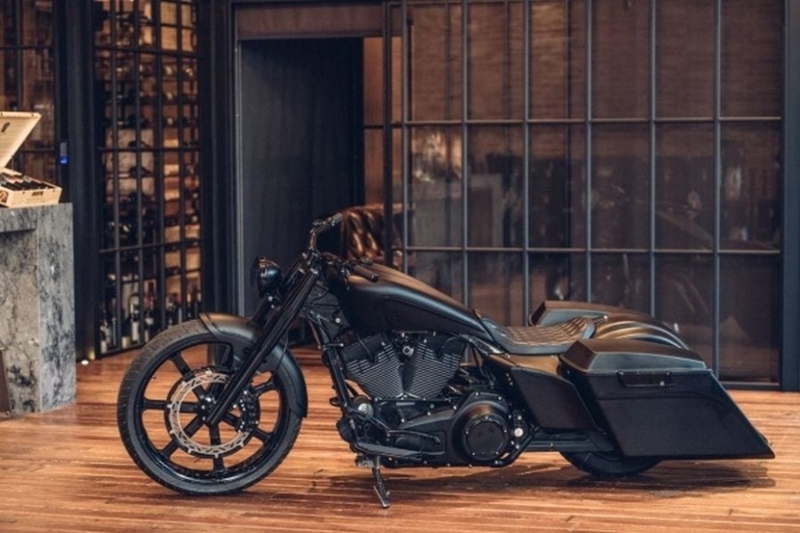 For the production of this motorcycle, responsibility goes to a company called The Revival Birdcage, from the United States. 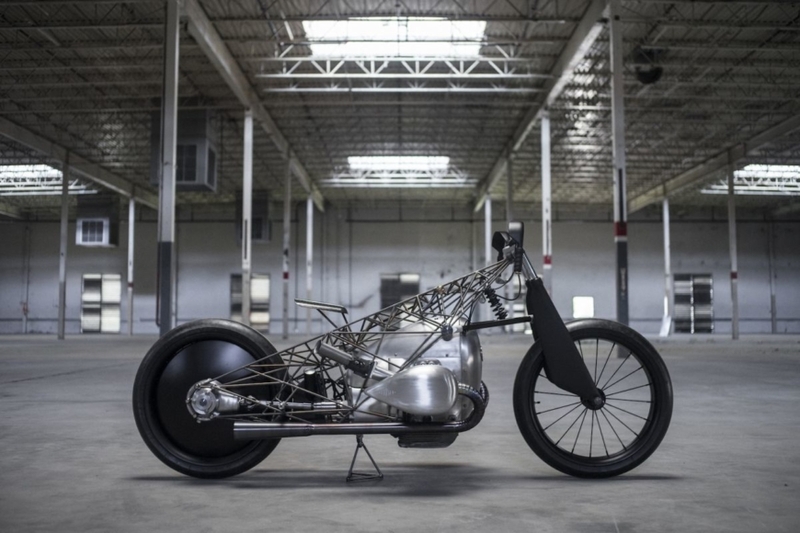 Almost every part of the bike is handmade, including the footrests and handlebars, and the frame is from titanium. The engine is customized and can be seen from almost every angle because of the frame that is well designed and almost transparent. 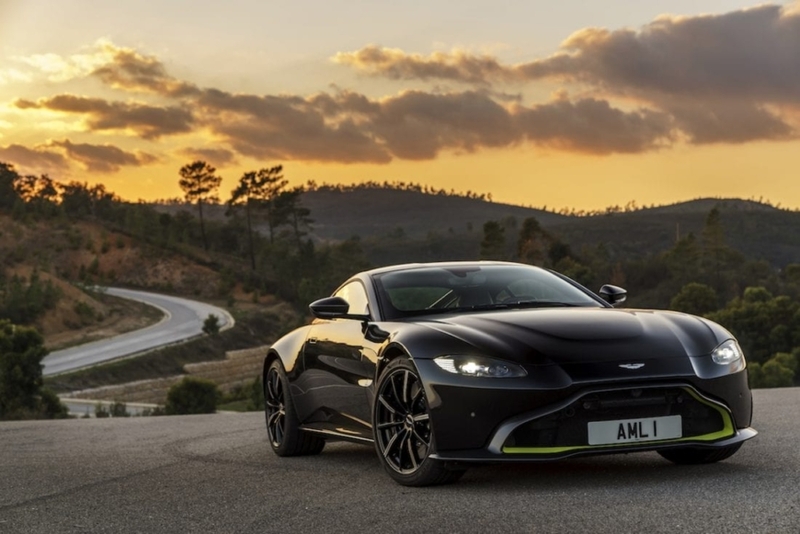 A full specification is not available at the moment, but everyone is expecting a more powerful engine than a regular R9T, which has 110 horsepower and can achieve the maximum speed of 220 kilometers per hour. 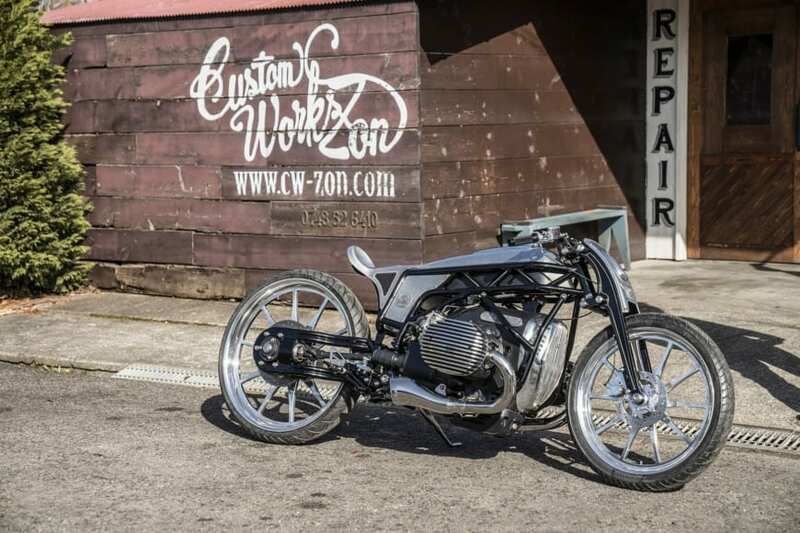 The collaboration of the BMW Motorrad and the Custom Works Zon lasts for a long time. The Japanese company was founded in 2003 and since that, they are famous for their custom works. For the BMW reworks, they are using parts similar to those from the bikes from the 1960s, but now they are made with chrome and carbon. Also, the fuel tank, seat and front trim are all handmade from sheet metal. This cooperation was a great deal since the BMW was looking for the way to get on the market of the United States, where big boxer engines will always be successful. It was not simple to turn the old fashion looking bikes into something that today can be on the roads. The main reason for that is the regulation of the emission from the engine, and every vehicle has to pass the Euro5 regulations. The official motorcycle will be available for customers at the end of 2019. 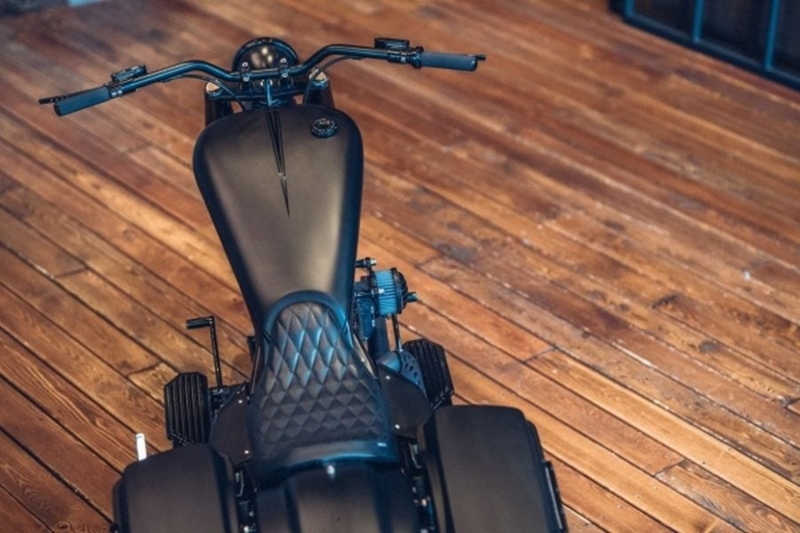 The BMW didn’t say anything about new models of bikes, but since this collaboration with Custom Works Zon looks incredible, we can maybe expect some more from them. 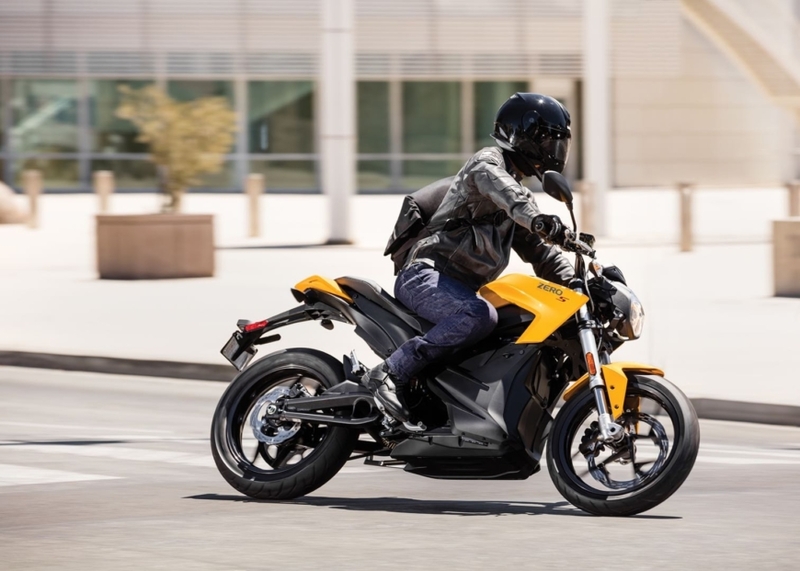 Can an electric motorcycle replace the standard one? 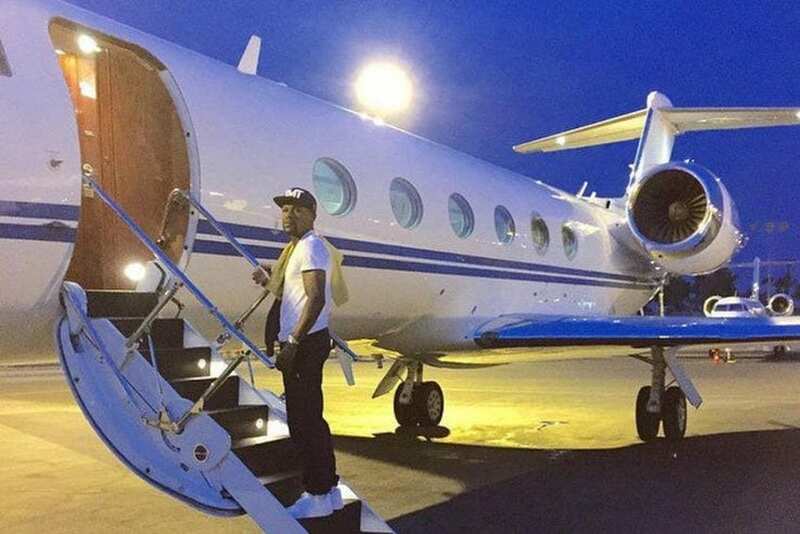 There are some athletes that have made so great a career that they have actually succeeded to make a fortune, which they used to make their lives easier. 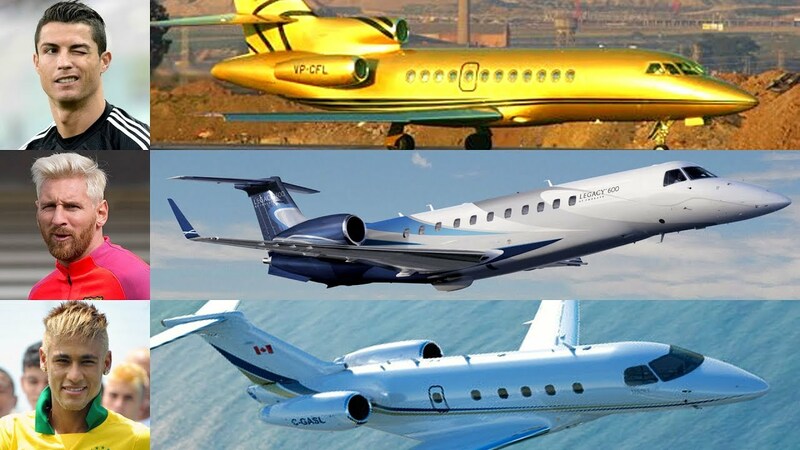 Some earned so much that they have decided to buy some aircraft and thus make all destinations closer. Let’s see who bought why and why. 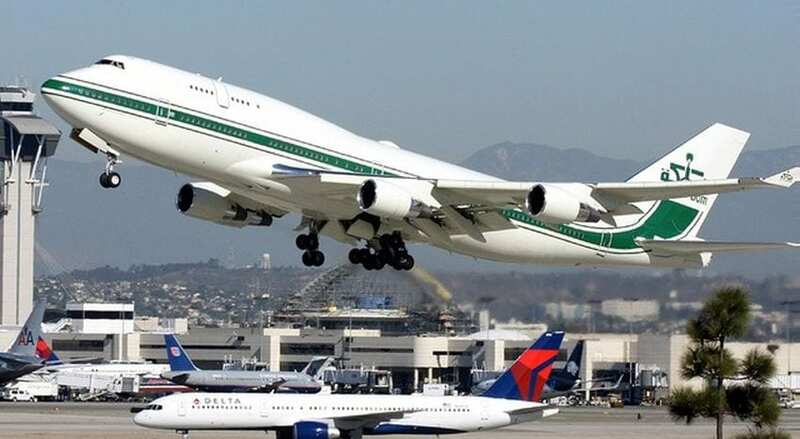 LA can sometimes be a very crowded place and this sometimes can mean that you will not get to your destination on time. This applies to all people in LA and thus to Kobe Bryant as well. 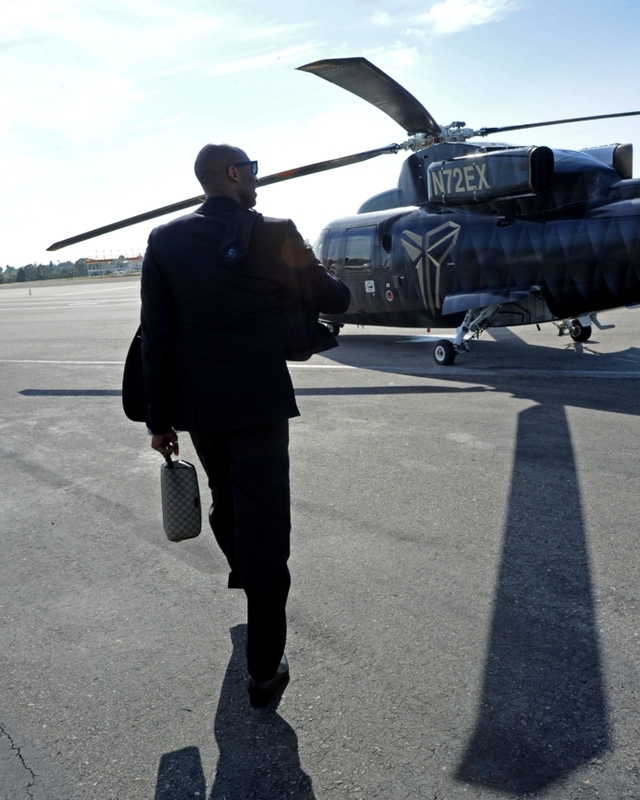 In order to solve this “problem” and to be wherever he wants without delay, this basketball legend decided to buy a helicopter. 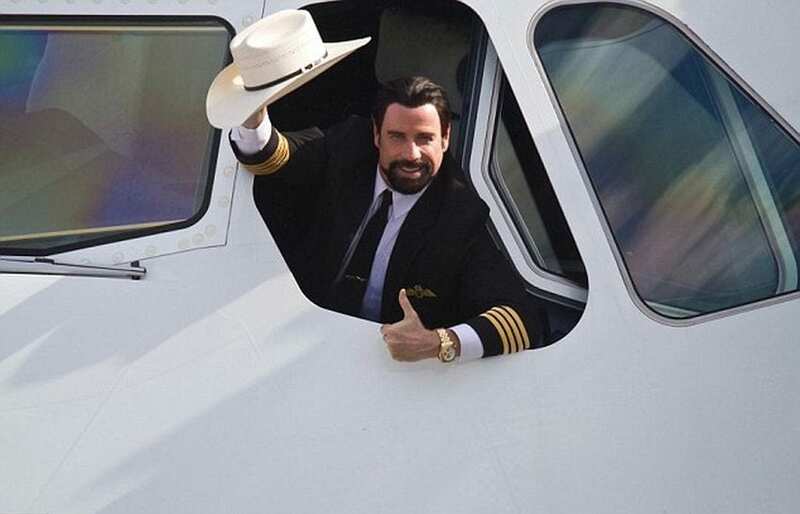 He sued this chopper for all types of travels from his home in Orange County. He is not only known one of the legends of the English football and a man who has left his mark on the football not only in Manchester UTD, England national team but also all over the globe. 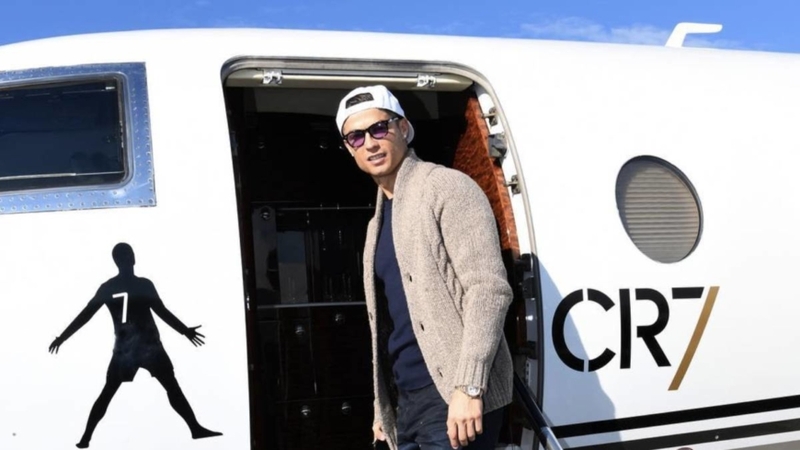 He is also recognized as being one of the most stylish and modern athletes in the world. 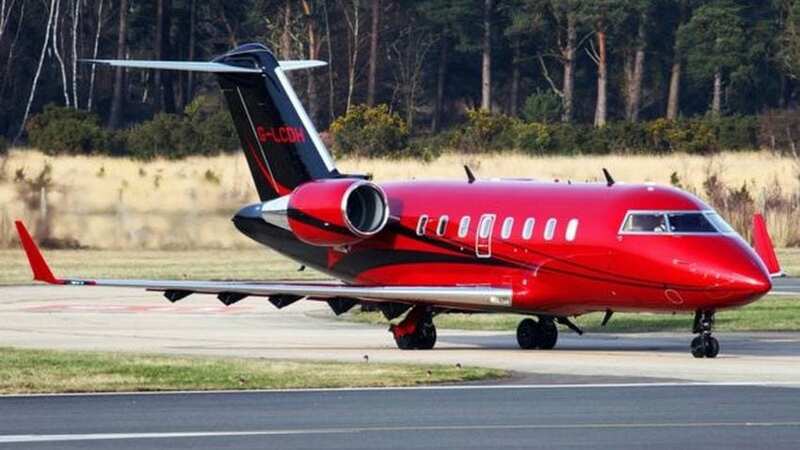 In order to make all the destinations in the world closer, he decided to purchase Bombardier Learjet 70, a very fast plane that needs a short runway. He is most definitely one of the athletes that have cashed in his qualities and talent best. 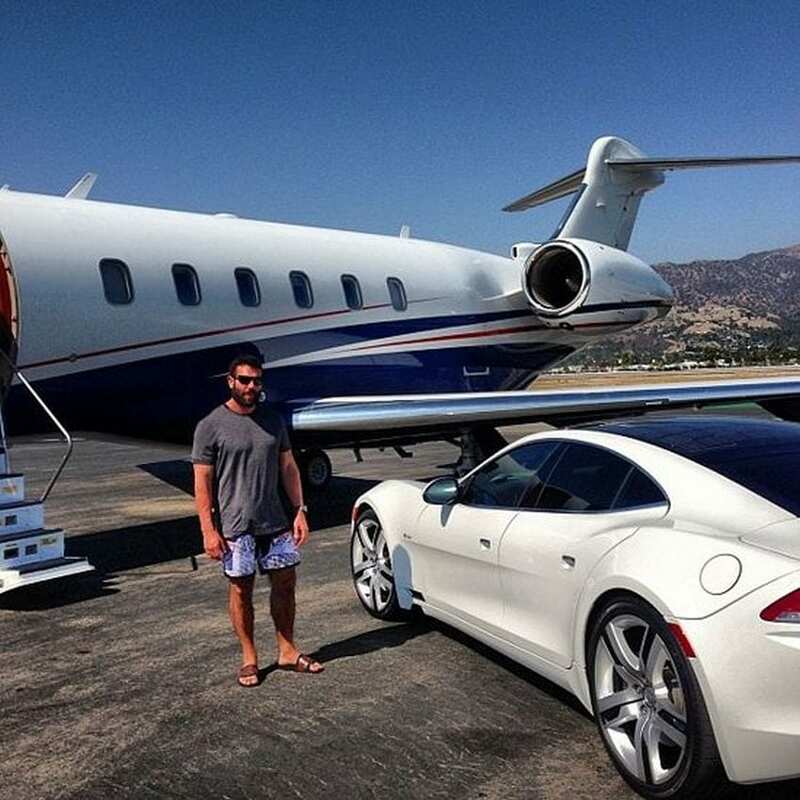 He does not have enormous amounts of money, he also has an impeccable taste and likes stylish and luxurious things. 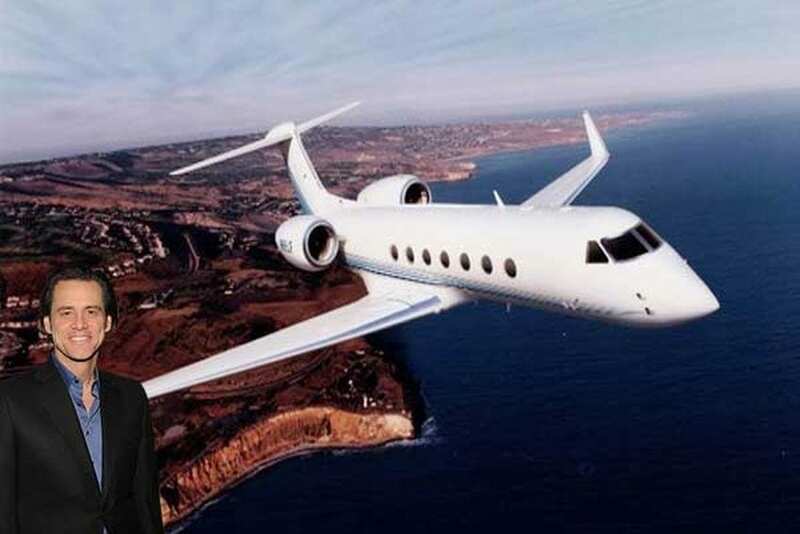 This was the reason why he decided to buy Gulfstream G200 for 21 million USD. 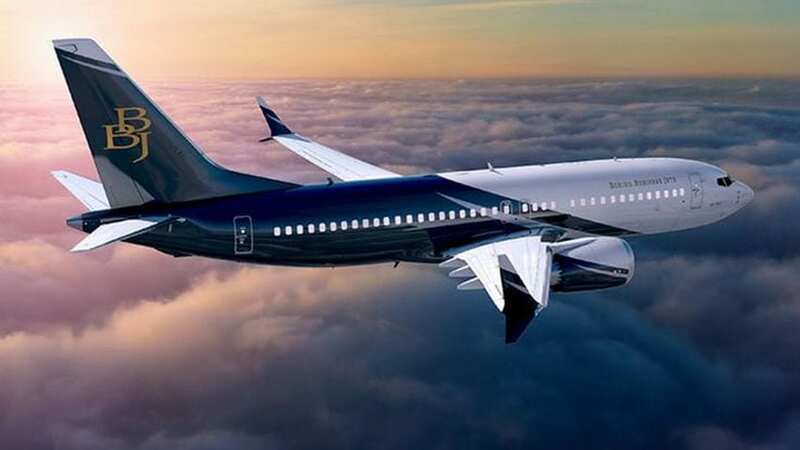 The plane has the capacity for ten passengers, Wi-Fi, phone, microwave, and entertainment system. The best and most popular golfer of all time. He made a fortune by playing golf and making endorsement deals. He is also one of the best-played athletes in the world. 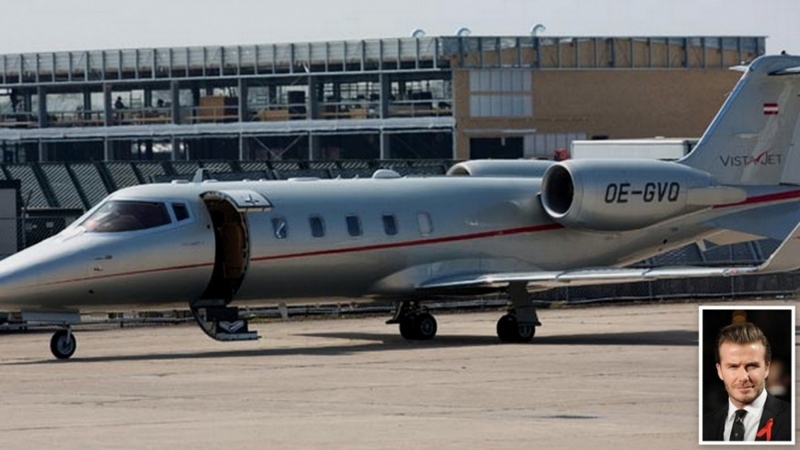 He owns Gulfstream G550, an airplane ideal for long journeys. 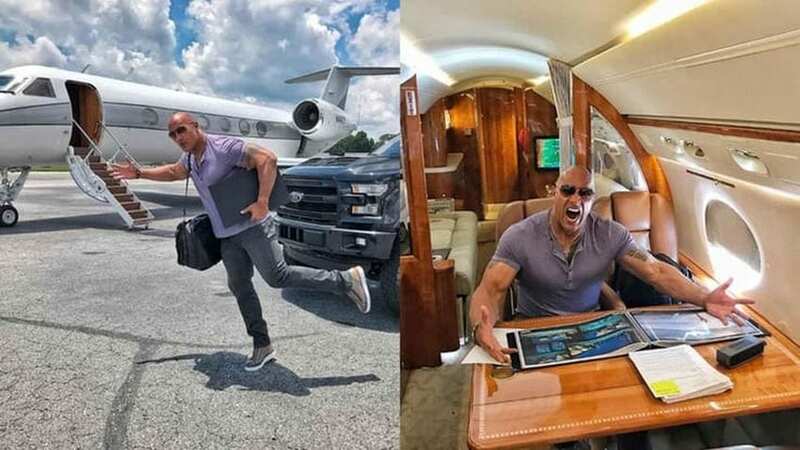 He is one more owner of Gulfstream G550, as we said, this is an ideal place if you want to embark on longer destinations. We should also mention that Tom is one of the most popular quarterbacks of all time and that he has a very good career and contracts that brought a lot of money. He has made a deep mark in the history of basketball and sometimes cannot even think about this sport without connecting it to him. He was one of the best and he earned as one of the best. 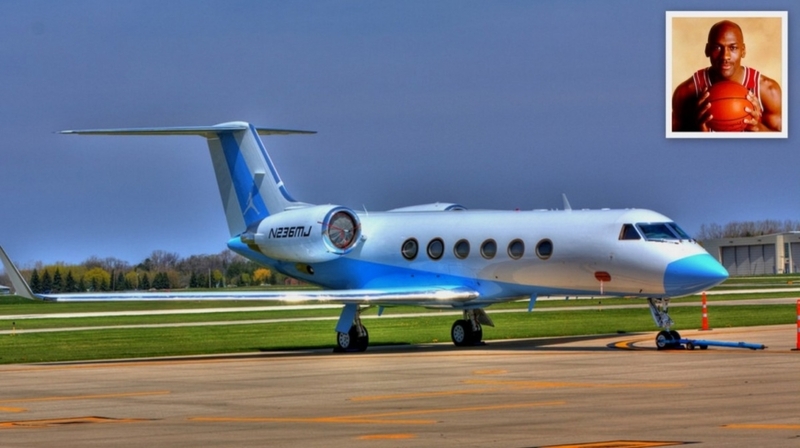 He decided to buy Gulfstream G450, the plane that has his brand logo on the tail. 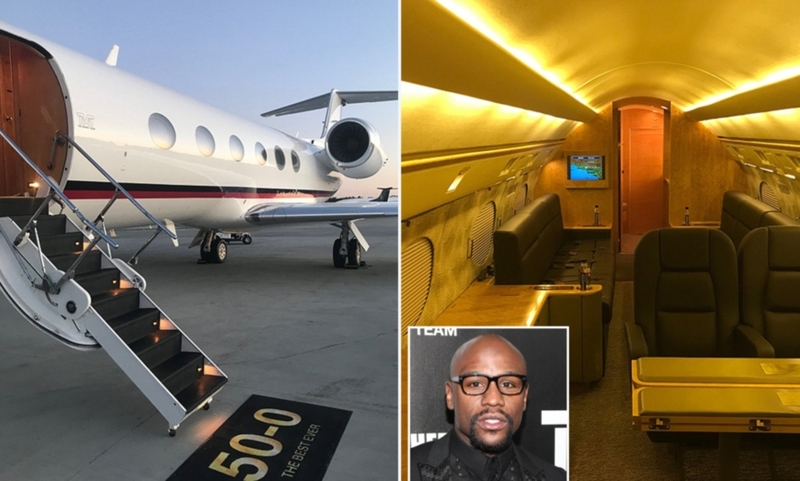 He is one of the most perspective boxers of our time, and he has so much money that he decided to actually have two planes, both having the purpose to provide maximum comfort and pleasure. Many of us dream to live a life of the super rich, travel wherever we want, eat whatever we feel like or just buy anything you fancy. In reality, not many people can afford such a lifestyle. 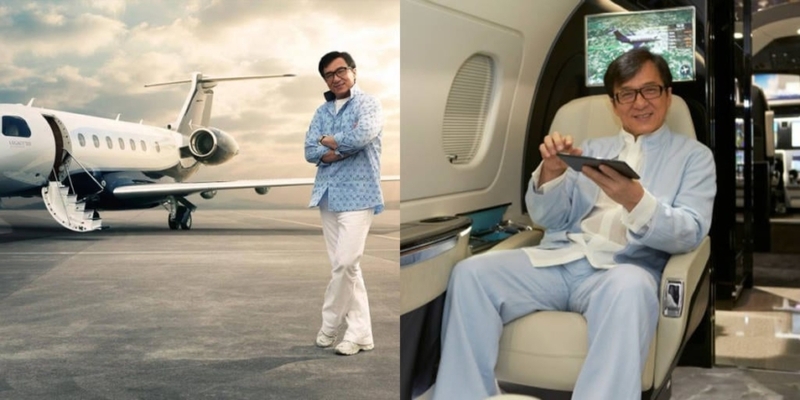 Still, there are ways for ordinary people to live it, at least for a day, by emulating what rich people do every day. While it is nice to own a few Ferraris, most of won’t live long enough to achieve that. Still, there are ways to get behind a wheel of one of these supercars, by renting one. There are companies that specialize in renting supercars and you can get a Ferrari, Porsche, or a Bugatti for a day. They also have premium models you can rent with a chauffeur if you don’t feel like driving and want to relax in the backseat, while they drive you around the city. 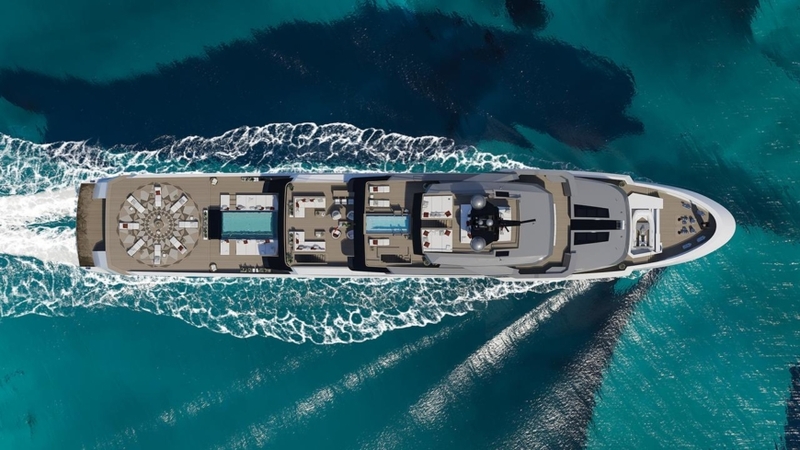 You can get a glimpse of luxury yachts in ports all around the globe, from Aruba to Antiqua, without their owners being present. They play extraordinary sums each year for maintenance and end up using them maybe 10 days during the season. 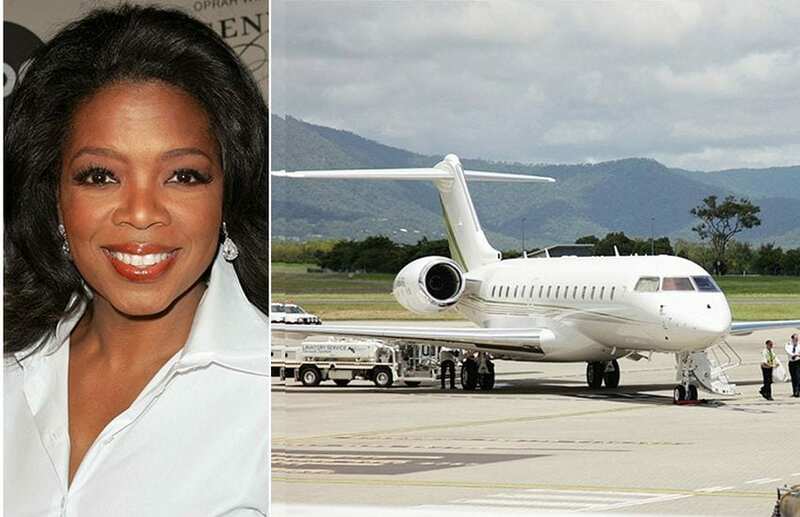 Usually, only wealthy people get gain access to them, but there is a way for the rest of us to get aboard, and that is by getting a job on one of them. There are many habits we attribute to rich people and one of them is having houses in various attractive locations around the globe. They can’t use all of them at once, so for the better part of the year, they sit empty, except for the staff that takes care of them. Getting a job in one of these luxurious homes is usually done through a specialized agency and you could apply in order to see one of them from the inside. 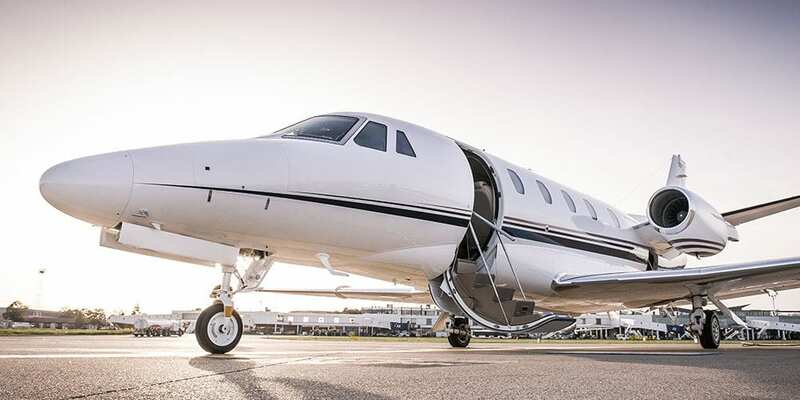 If you are looking for a premium experience while flying without breaking a bank, there are ways to do it. The first thing you need to do is to be dress properly. Get rid of t-shirts and shorts and get a smart suit and behave appropriately. 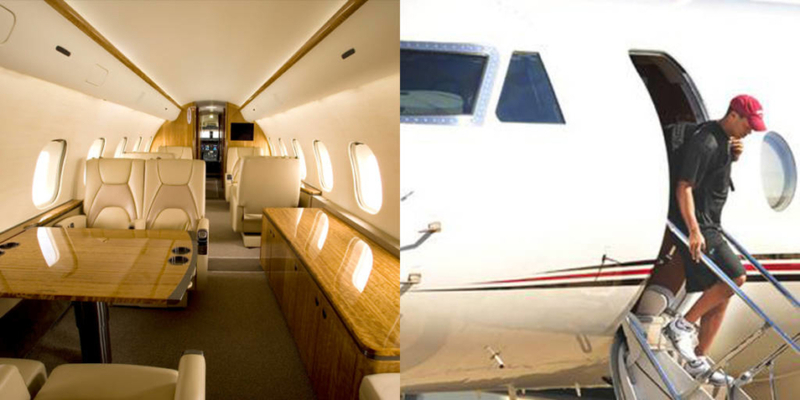 If you ever had a bad experience with the air company, you can use it to gain a transfer to the first class. Social calendars of rich people are often filled with exclusive sports events. Despite the fact that they are usually highly exclusive, there are ways to visit them very easy, sometimes even for free. For instance, you can get tickets for Royal Ascot for less than 30 euro. If you are a tennis fan, Wimbledon organizes a lottery every year for some of the tickets, while Monaco Grand Prix can be watched for free, since it is held on the streets of the city. Top restaurants in the world have to pay attention to every little detail of their service in order to preserve their status. The best way for them to get an honest opinion is to organize mystery dinners. If you get in one of them, you will get a credit you can spend on a meal and all you have to do in return is to give your honest opinion about it. You need to register on a site in order to get an invitation for the events. Each respectable millionaire has to own a piece of a popular football club. 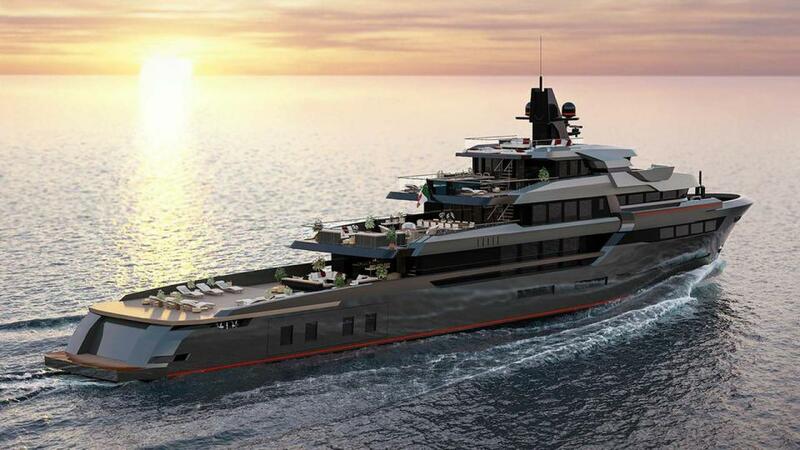 It doesn’t matter whether it is Manchester United, Chelsea, or Real Madrid, it is a rather expensive pleasure. You can do it on the cheap by sponsoring your local club. Next time you seat in the stands and watch the game, you will feel like Roman Abramovich. 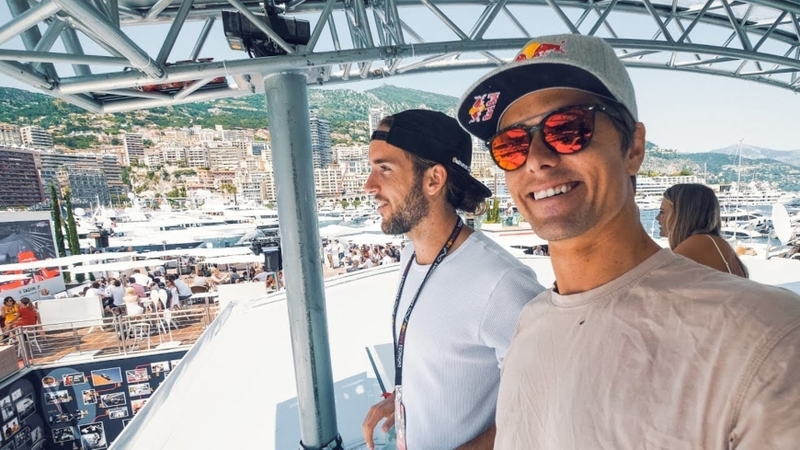 Ridiculously expensive watches are one of the status symbols rich people love to wear, even if they are relaxing by the pool. 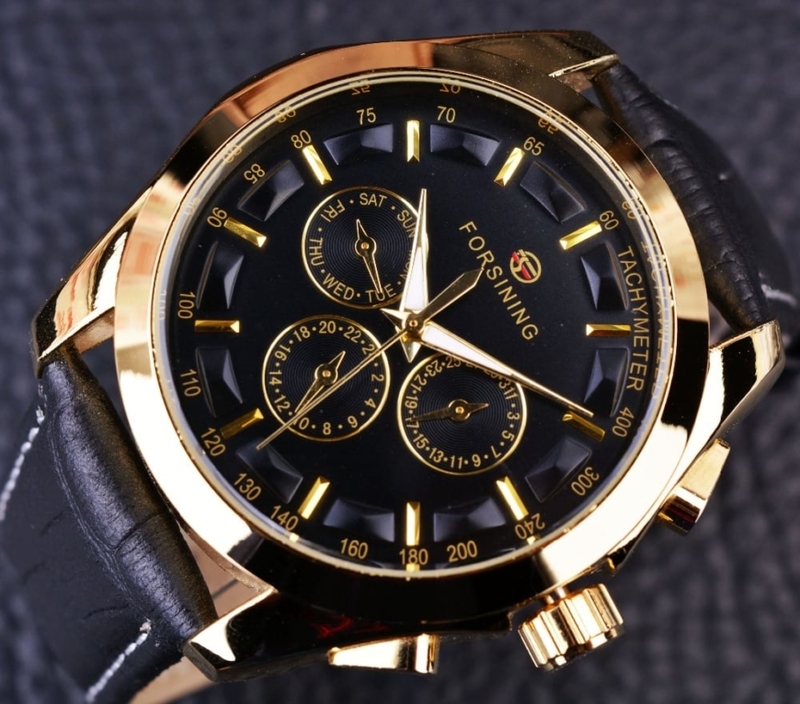 Like many other fashionable items, watches are in one season and out the next, meaning their value can plummet drastically. You can get a second-hand Omega, Rolex, or Breitling for a surprisingly low price. 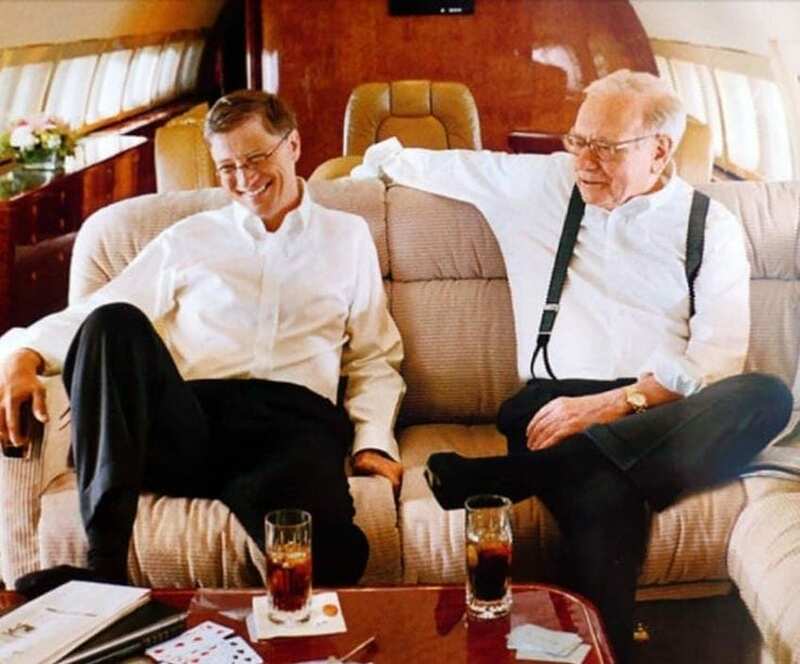 Perhaps the best way to emulate rich and powerful is to spread the wealth. Donate some money to a humanitarian organization or some other charity of your choice and you can help improve the world while feeling better about yourself at the same time. You won’t contribute millions like some other people, but every little bit helps and you would have done your share. Rarely does an event shocks both music and motorcycle world at the same time, like the death of Keith Flint. Eco-friendly – perhaps one of the most important advantage of these bikes is that they are environmentally friendly. There are fewer greenhouse emissions and it will reduce air pollution and limit all the effects of global warming. Hence, by driving this bike, you will help in the battle against global warming. They are easy and safe to operate – these motorcycles are fun for people of various ages. It is considered to be a better bike since its features will provide additional safety while driving it. These bikes are often highly regarded by elderly people, as well as women. 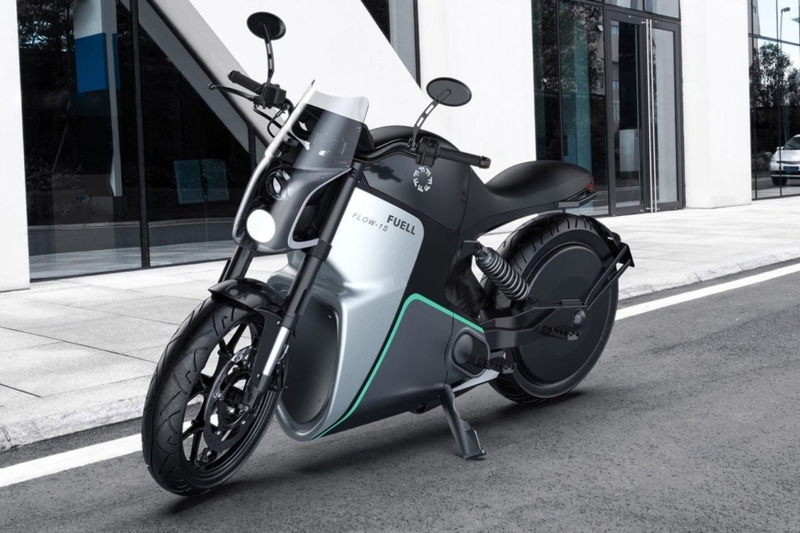 According to EV News, the automatic features is what makes this bike a worry-free technology and choice. You will not have to think about what gear you are in or how to clutch in the proper way. 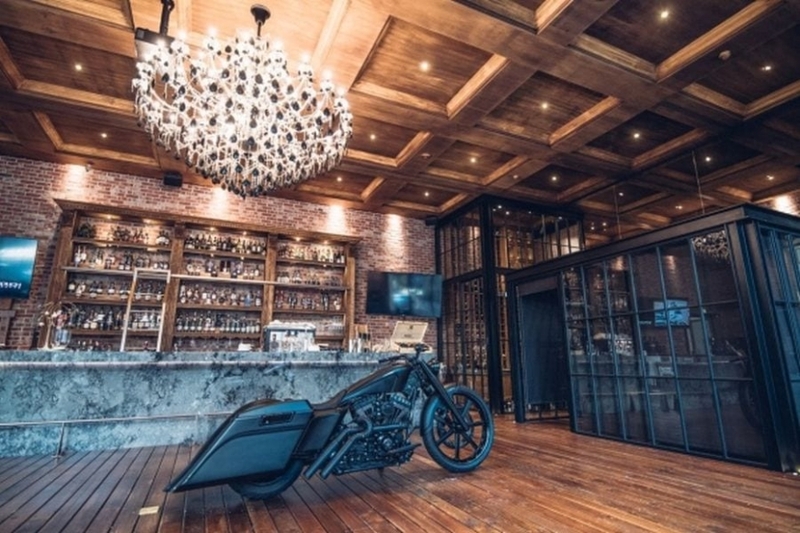 You will not have to put in a lot of physical effort in order to drive this bike, and one of the most amazing things – you will not have to worry about the oil or gas. Of course, with various advantages, come some disadvantages. 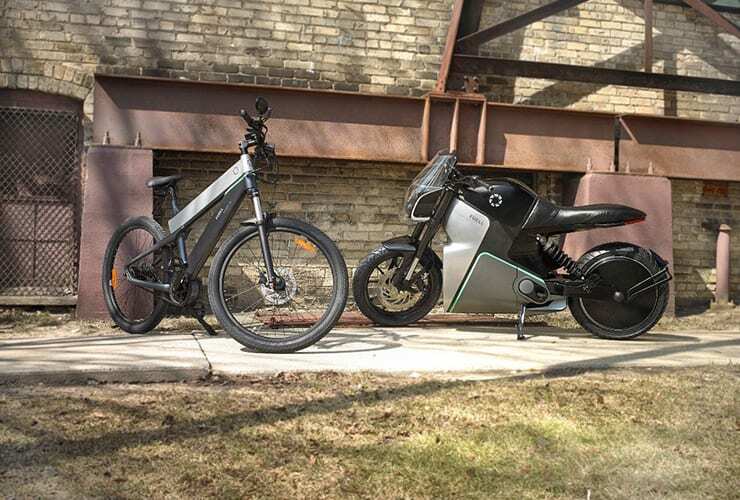 It is a bit expensive – in general, when compared to gas motorcycles, electric ones are quite expensive. And with these bikes, your power bill might go up a little bit. Limited battery life – in general, maintenance-free batteries have a limited life span. 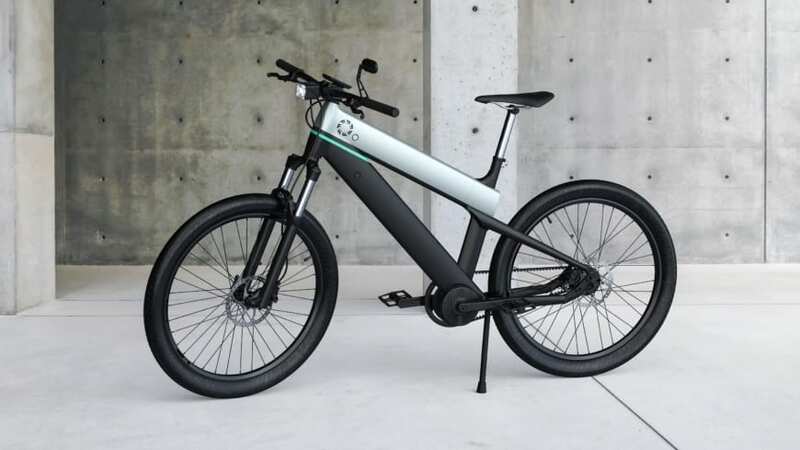 The more use drive this bike, the earlier you battery will give up on you. Charging also needs to be carefully looked at in order to avoid battery damage. 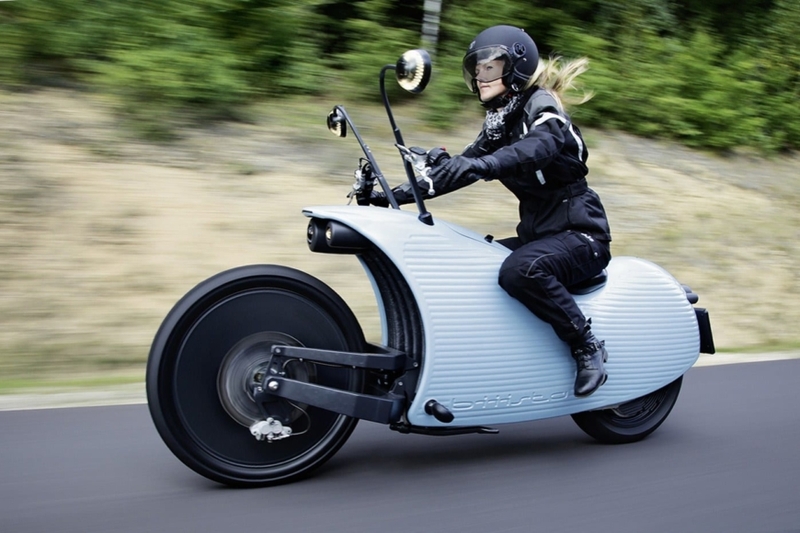 It is faster – when compared to electric bikes, gas ones are faster. It can bring you miles away to the destination you want in no time, so it is most certainly faster. Resale value – for gas bikes, it is easy to find a buyer. The resale value of them is higher them the electric motorcycles. With the proper maintenance, you will be able to get a high and good market price value. Inexpensive – the initial investment that you will be making is cheaper. Service, the parts, and maintenance are cheaper and you will be able to pump gas whenever you need it without worrying about your power bill. It is heavy – although there are various types, it is generally not easy to maneuver this motorcycle. It is heavy and in order to move it around, you will need a lot of force to do so. You will also need skills, concentration, and skill to drive this bike. 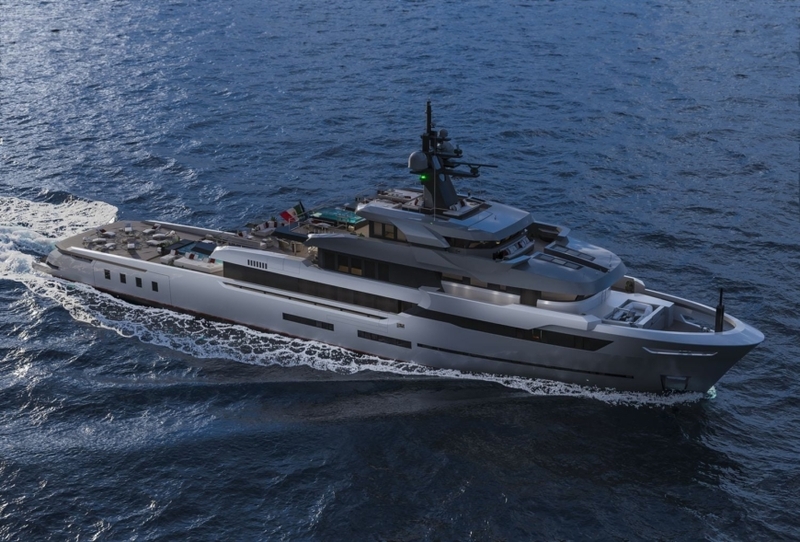 Maintenance – you will be able from a wide range of option from private mechanics and dealers, and you could also choose to repair it on your own. However, any of these options will cost you a lot of money. Pollution – gas-powered motorcycles are amongst the vehicles that have worse emissions. The chemicals that can be found in the gas have a bad impact on humans, as well as the world. Once the gas is inhaled, it can cause a wide range of illnesses. 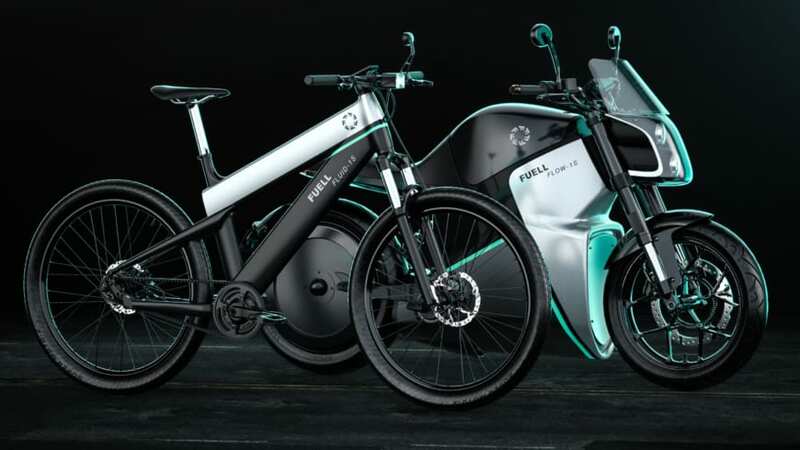 Both gas and electric bikes are good to take on the road, and the decision you will make should depend on your preferences. The heat invites on many occasions to leave the gloves parked. 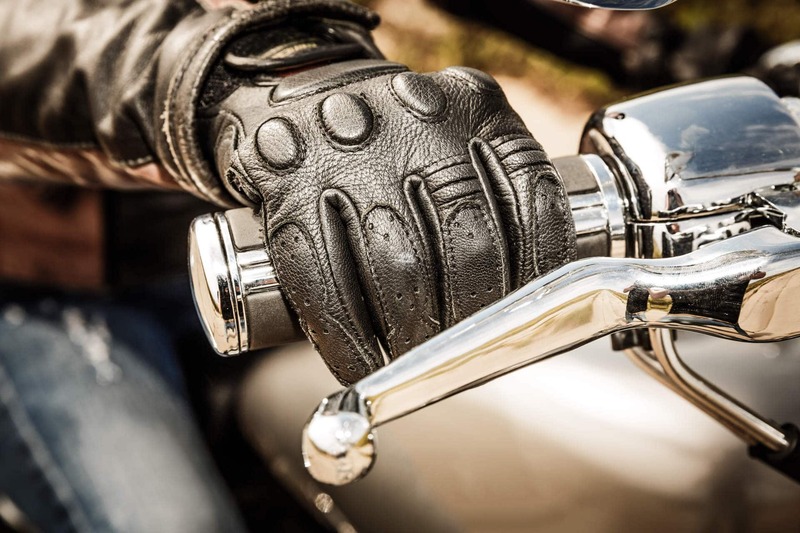 We tend to give little importance, but gloves are essential protection for riding a motorcycle or moped. Many times, especially in summer, we ignore this garment both in town and on the road, putting our hands in danger in the event of an accident. 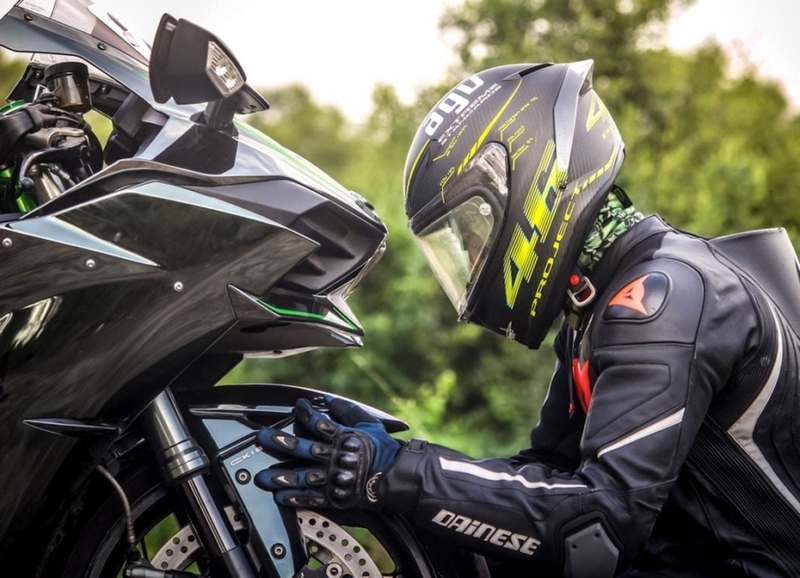 When it comes to purchasing new motorcycle gloves, the importance of a good fit can’t be overly emphasized. 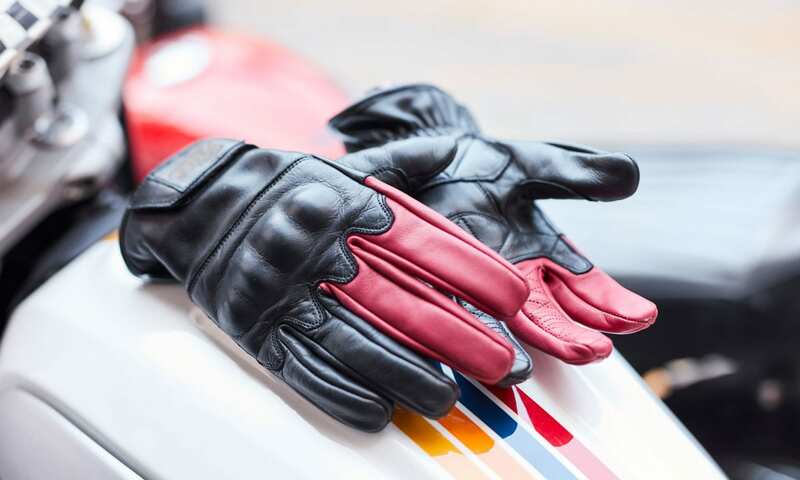 You spend a lot of time making sure motorcycle jackets fit perfectly, and you should spend just as much time choosing the right glove fitment. Here are a few tips for choosing a pair of gloves that fit comfortably and snuggly. A pair of gloves might feel great when your fingers are straight, but the real test of a good fit is the motorcycle grip test. While wearing the gloves, pretend you’re grabbing onto your motorcycle grips. If the gloves are snug without feeling uncomfortably tight, you’re in business. You should also be able to easily operate your turn signals and other controls without feeling like your circulation is being cut off. Different types of gloves fit differently based on their intended usage. For example, touring gloves are primarily designed for comfort during long-distance riding. They should give you plenty of dexterity with adequate protection. Racing gloves, on the other hand, should fit more snugly and should be built with pre-curved fingers. All weather riding gloves are intentionally bulkier because they come with added insulation. If we have a fall, however simple, hands are usually the first parapet for the driver, because during the accident tends to put your hands to avoid the blow, so they are the most damaged part of the body. An example of this imagines the repercussion of an accident on the road, where people drive at 90 kilometers per hour, or in the city, where the speed is usually 50 kilometers per hour. In these cases, the gloves would protect the hands from cuts and wounds. In summer, the finest and unfilled have ventilation, which promotes perspiration and results in a greater grip when driving the motorcycle. On the other hand, in winter they protect from the cold and prevent the appearance of chilblains and redness due to the low temperatures. Keep in mind that leather is slightly stretchy, while textile gloves maintain their original size over time. So, if you’re going for a new pair of leather gloves, choose a pair that’s slightly tighter than you’d normally wear. They’ll stretch a bit with consistent wear and will end up forming to your hands. Once broken in, you can’t beat the comfort of a great pair of leather gloves. If you opt for textile gloves, you don’t want to make the mistake of going too small, since they won’t stretch out. If you’re right between sizes, it’s better to go up a size than down. You want to be able to move those fingers freely, without feeling too much tightness in the knuckles. Now that you know what factors influence glove fitment, it’s time to go out and find the perfect gloves for your rides. Your motorcycle is really an extension of yourself. You can’t enjoy it to the full unless it looks and sounds just the way you want. That is where mods come in, and there are plenty of great bike mods that will help you transform your machine into the ride you’ve always dreamed of. The air filter is what helps your engine breathe. The more clean air it gets, the better it will run. 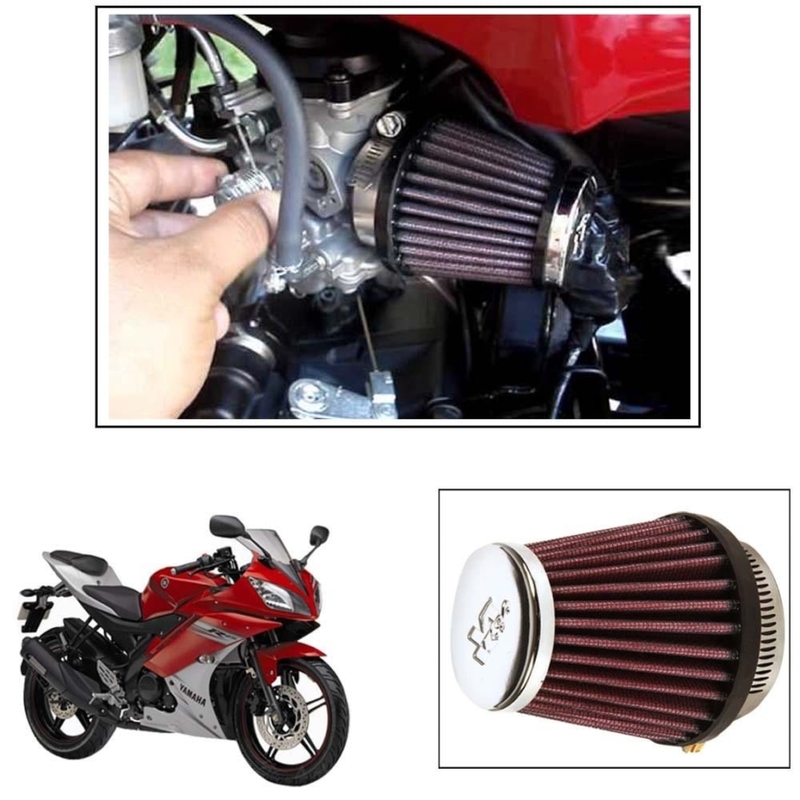 Aftermarket filters make a huge difference with motorcycles, helping them run faster and cleaner than they do off the line. Of course, an aftermarket filter cost more than stock, but it’s definitely worth it over time. Performance filters provide so much more engine protection, the difference can be measured in tens of thousands of miles. When it comes to how much you enjoy your bike, your windshield can make a lot of difference. Nearly any basic bike will have have a windscreen, but is it doing what you want it to do for you? Does it provide the protection or tinting that you really need? It’s not unheard of for stock windshields to be so bad that they whip the air current straight into your face as you ride. If you’re tired of fighting with ride turbulence or want to see more clearly, try updating your windshield. There are a couple of types of sliders, but whatever type you choose the idea is the same: a slider is meant to protect you during a slide. Swingarm sliders protect your arm when you have to lay it down really close to the road, and they have an auxiliary benefit, too. 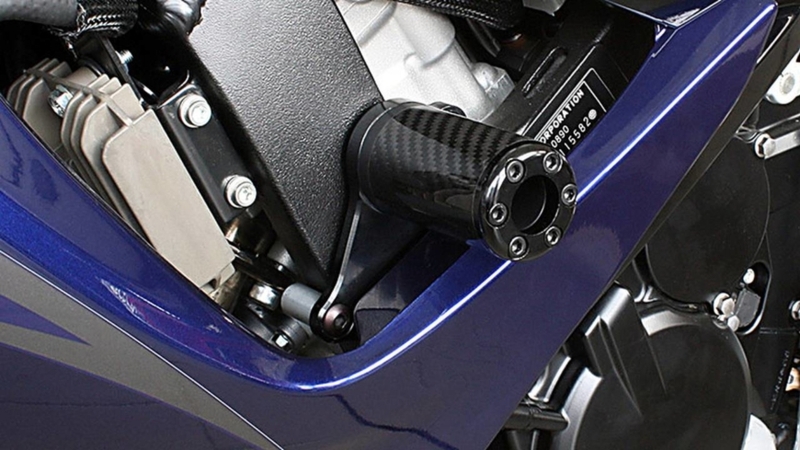 If you have trouble lifting your bike, you’ll appreciate the way swingarm sliders let you lift the bike with ease. You can definitely lift your bike without them, but it’s easier and more stable with the sliders. Your tires are as important as your bike itself. If you’ve just bought a new bike, you might even be wondering why you should ever consider new tires, given that the ones you currently have are brand new. 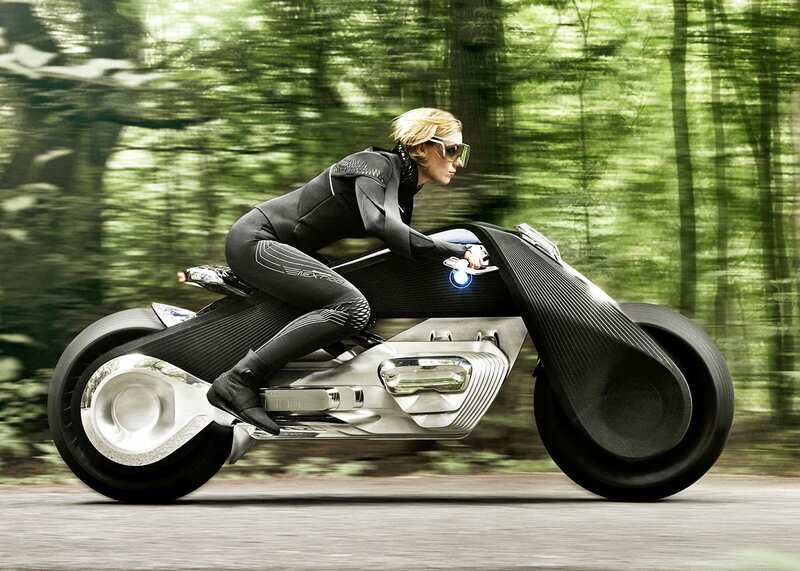 The thing is that your motorcycle manufacturer doesn’t put their interest into the tires. Manufacturers are concerned with the transmission, the powertrain, and the frame. The tires are fairly generic because it’s impossible to know what type of tire a client really needs. It all depends on what terrain you plan to ride on, so make sure your tires match your plans. The fenders on a lot of motorcycles are pretty ugly. Stock fenders tend to be too bulky and can totally destroy the sleek look of a fine new bike. Manufacturers know that you’re likely to replace the fender, so they don’t put much thought into them. The only important thing to remember here is that local laws may vary. Be sure to find out what the laws are in your city before you buy so you can be sure of getting a fender kit that allows you to stay in compliance. 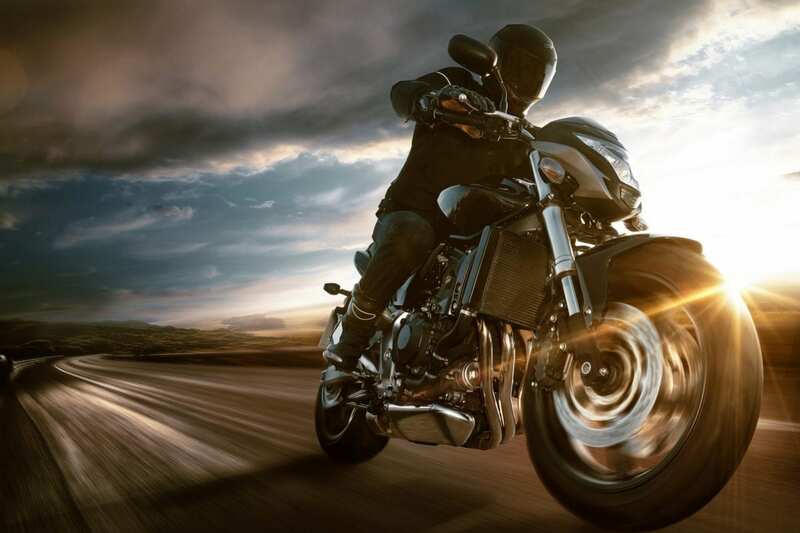 The turn signal on your bike might be one of the most crucial safety features you have, but it’s also one of those items manufacturers tend to ignore. They tend to churn out ugly turn signals that stick out and threaten your fairings in the event of an accident. Aftermarket flush turn signals are more discreet when they’re off, but more noticeable when they’re on. They have a lower profile than stock signals, but they won’t hurt your bike in an accident and will enhance your safety by making you more visible. 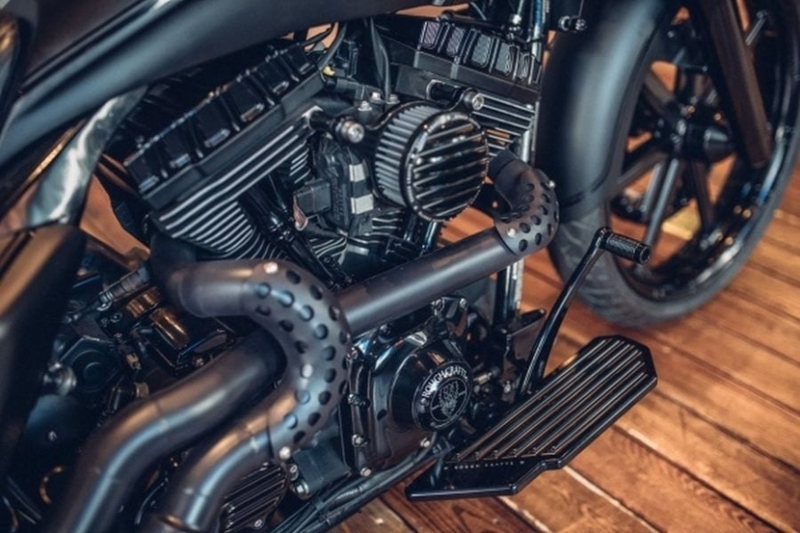 There are lots of aftermarket mods you can make to your bike, and most of them will enhance your ride, your confidence, and your look on the bike. Just be sure to research regulations in your area to ensure you’re always in compliance with the law. Your big day has come and you’re finally getting married. After all daydreaming and planning, the moment is near. This excitement can also cause stress and worry when it comes to choosing a dress. 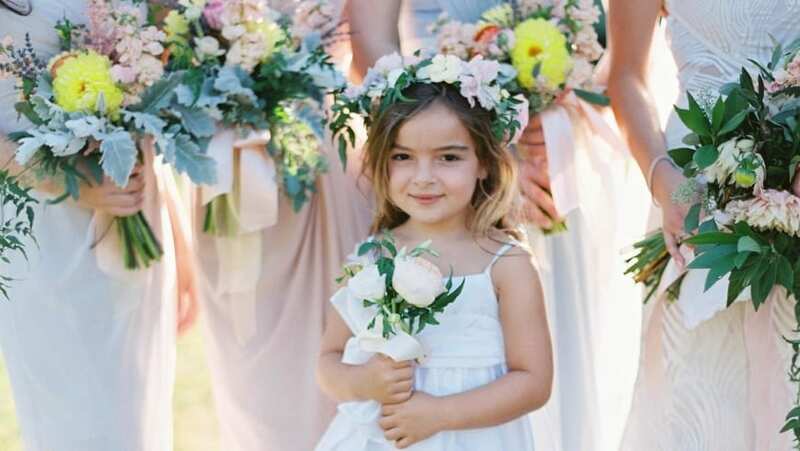 There is a lot that a bride thinks about when it comes to her wedding and to increase stress, she should choose a dress for the flower girl as well. As if it were not hard enough trying to figure out what you are going to wear, the idea of ​still having to choose a dress for your little florist can make you spend sleepless nights too. You can let your mother choose the girl’s dress, but she may have a different preference when it comes to the style of the dress. Choosing flower girl dresses can be fun and with so many styles available, brides have an easier time making a selection. With so many wedding outfits, one can get not just any dress model, but also in any color and size. All very beautiful and lovely, a bride to be will immediately know what kind of dress is suitable for your wedding. Weddings are expensive considering that you have to pay for a vendor, flowers, wedding planner, venue and all kinds of diverse things. Every bride dreams of a Vera Wang wedding dress and this may be possible, but for most people, having designer dresses tailor-made for your florist is out of reach. Not to be afraid, many bridal shops stock beautiful dresses inspired by flower stylists. Everyone with their own style, there is a dress for any type of wedding. You can literally walk into the store, tell the seller the colors of your wedding and she should be able to present a selection of gorgeous dresses in the shade of your choice. You can have your little flower accompany you and make her try the dress and buy it immediately. If they can not accompany you, you can make the selection, which they can adjust and buy later. It is a quick process, which does not require much effort from the bride. Deciding to have the flower girl dress made especially for your wedding requires more time and effort than necessary. Even if the dress has already been made, many dresses you find in a store are very unique. If a family wanted to have the dress done from scratch, it would take plenty of time and money as well. 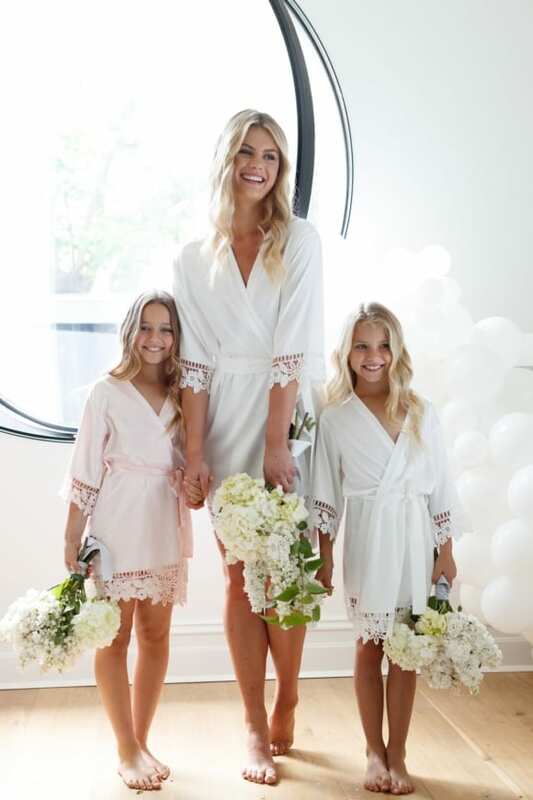 The process involves the flower girls who have to go constantly for measurements and the involvement of the bride if any changes need to happen. It is expensive if you decide to go this route since you have to consider the cost of the material and the work, but you may be lucky enough to save some money if your seamstress gives you a discount to order several dresses. You can get a beautiful dress in many ways. Also, if you are a “bridezilla” who wants everything your way, then a practical approach involving everything from saving the date cards to the wedding favors is the way to go! Another alternative is to accessorize your toddler flower girls dresses. This is a great way to make them unique to the bride’s style and even to the style of the florist. An armband here, maybe some bracelets and even a necklace can really make the florist stand out. Flower girl dresses do not always have to be a pretty pattern dress. You can have fun with it incorporating themes to wear. For example, turn your flower girls into little angels by adding angle wings to the dress. Not only do they look lovely, but they can also be fun for girls. Having a theme from a particular era is also a wonderful idea, as dresses inspired by the ’60s. 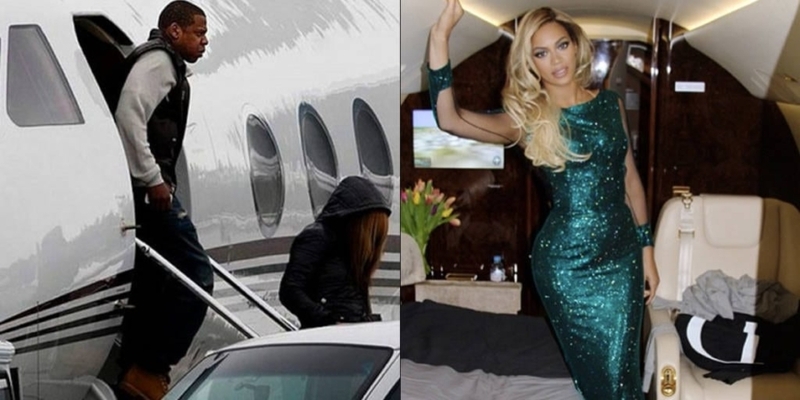 Be creative, but remember, the more comfortable your girl feels in your dress, the calmer the day should be for you. When planning a wedding, it is important to ensure that your florist has a comfortable dress that matches the wedding theme. During the planning process, there are several things to consider. First, you must find out who is choosing a dress for the florist. It can be the bride or the mother of the bride. Secondly, what kind of dress are you looking for and the accessories that will accompany you. You can find a great dress considering these tips during the planning process.